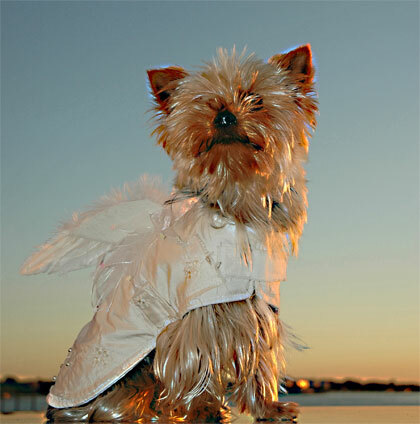 Manfred of Sweden Brocaide Swarovski Crystal Jacket: © Manfred of Sweden Manfred made his New York debut in 2007 at the first annual Pet Fashion Week New York. 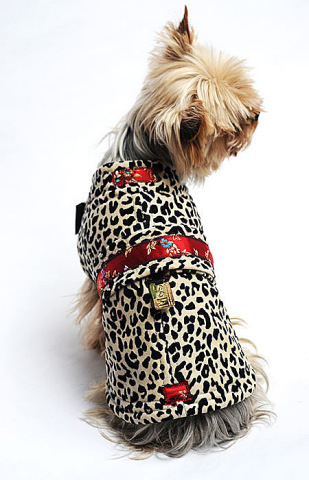 Now, he's getting ready to overwhelm attendees for his fourth consecutive year at the fourth annual Pet Fashion Week, taking place this month (August 21 - 22) at the Metropolitan Pavilion. Among the many other talented and beautiful dog models returning to trade show, Manfred is unique. 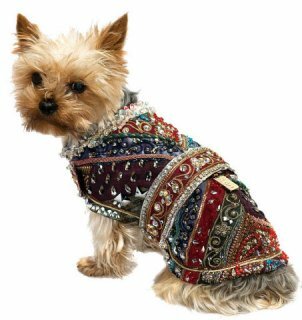 Not only is he the world's most famous dog clothing model, he's the inspiration for the most luxurious dog clothing in the world. 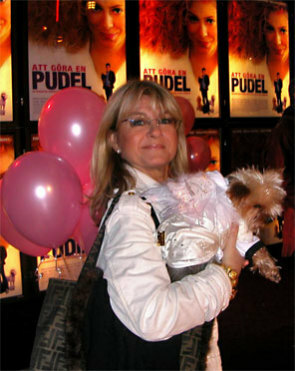 Manfred of Sweden (MoS), opened in 2001, has represented the ultimate in haute couture for dogs since then, and Manfred, the inspiration for each design, also became the mascot of the company, with photographs in international newspapers and magazines in the most glamorous dog clothes you can imagine. Manfred of Sweden dog creations have been the focus of museum exhibitions throughout the world, and they are sold in the finest stores. MoS has been secretive about its Fall collection, doubtless waiting for Pet Fashion Week later this month to debut it, but here are a few beauties from 2009 - 2010 Winter and Spring collections. 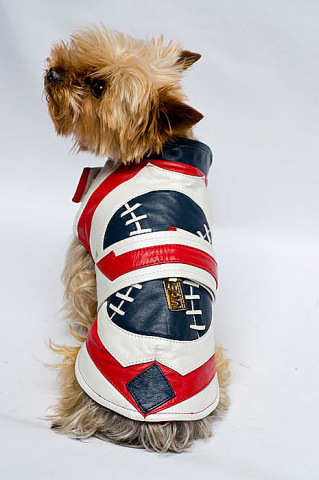 The American Jacket, a tribute to American football, is made of lambskin leather and has a polyester lining. 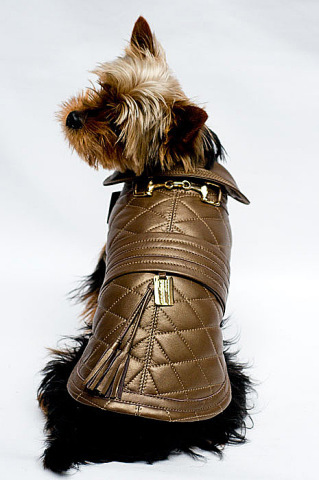 The Paris Bronze is a real winter jacket, lambskin with a hair extension! The Paris, which comes in several colors, is adorned with gold jewelry at the neck. Spring brought out the Colors line, here represented by Leopard with an oriental spin. 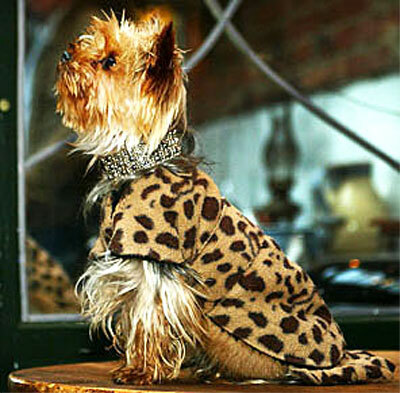 Seeing the new Leopard Jacket in the Colors collection, reminded me of the first photo I saw of Manfred. It was in a different Leopard Jacket with a collar of silver and fine pearls. Do clothes make the dog? What can you say? He wears them well.